Valentine's Day is a special day set aside for the ones you love. It's a day to remind the one's that mean the most to you, just why they mean as much as they do. Who ever said your dog can't be that special "some-puppy"? When most people think of Valentine gifts, it's roses, chocolates, cards, and candies that typically come to mind. So, if your dog is your Valentine this year, you may need to think outside of the box for their gift. I can't imagine a pop up card Hallmark meaning that much to your dog... even if it sings "Who Let the Dog's Out"
What dog turns up its nose to cookies? Pet owners, forget the usual squeaky toy this Valentine's Day... It's time to hit the kitchen for your canine! Preheat oven to 400 degrees. In a medium bowl, whisk together flour, wheat germ, yeast, and salt; set aside. 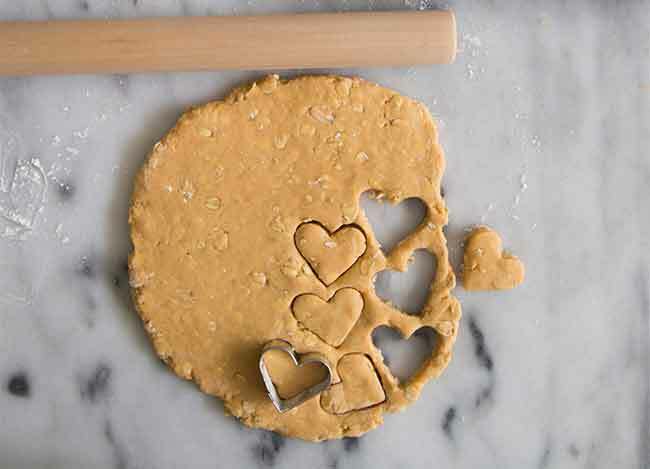 If desired, you can spell out your dog's name or a holiday message in the dough with a toothpick (wet the toothpick first so it won't stick). Bake biscuits 10 minutes. Brush with stock; rotate baking sheets, and bake 10 minutes more. Turn off oven, leaving door closed. Let dog biscuits stand in oven to dry completely, about 1 1/2 hours. Wrap as a gift, or store in an airtight container at room temperature. Feel free to personalize this tasty treat in any way special for your dog. Just make sure that all the ingredients are edible. 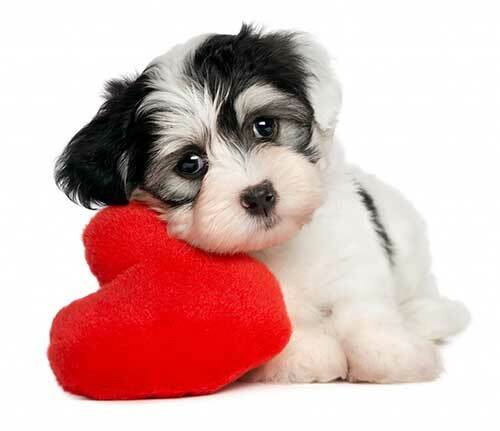 There are endless ways to show your dog some love this Valentine's Day, so don't forget about the 4-legged loves that never forget to say "I Love You". Do you have any questions or concerns? Contact Dog Training Elite today, we're happy to help!